With every week that passes, liberals ramp up their hatred for President Trump and his administration. Hollywood elitists lead the charge to spread dangerous vitriol and violent insinuations. 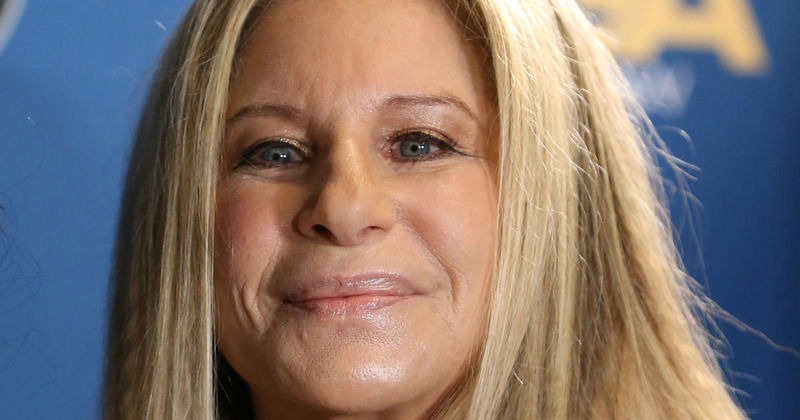 And if you thought it couldn’t possibly get any worse, wait until you hear about Barbra Streisand’s latest allegation against Trump and his administration. Liberals are furious about what’s happening at the Southern border, which ultimately means they care more about illegal immigrants breaking the law than they do for protecting law abiding American citizens. Wherever you stand on the issue, calling these detention centers “concentration camps,” is a horrible comparison to the atrocities that happened during the Holocaust. Nobody is dying at the Southern border or being systematically killed. But two-time Academy Award Winner Barbra Streisand just accused the Trump administration of “kidnapping” the children who have been separated from the adults who illegally brought them across the U.S.-Mexico border. Not only is she hyperbolizing what’s happening by using extreme words like “kidnapping,” but she’s also accusing the administration of using these kids to blackmail Congress into funding the wall. The wall is badly needed, but to accuse the administration of “extortion” is a leap in logic that needs to be checked because this kind of rhetoric is what weaponizes the left to ramp up their violent protests. But Streisand didn’t stop there either. Streisand compared that to how Hitler also spoke on issues. The unfortunate circumstance is that these kids are part of the due diligence process to protect them and us from the guardians who illegally brought them across the border, because in some cases, they aren’t biologically related. Also, none of this would be happening if they weren’t brought across illegally in the first place. Unfortunately, Streisand isn’t the only Hollywood elitist who is fueling the liberal masses with this dangerous accusation. Super-producer Judd Apatow – known for directing Knocked Up, The 40 Year Old Virgin, and Amy Schumer’s awful Trainwreck – also used the same offensive word, “kidnapping,” to describe the Trump administration’s policy. In fact, Apatow used the word “kidnapping” fourteen times on twitter in 48 hours, but he was particularly bashing Fox News along with criticizing the Trump administration. Apatow isn’t just advocating for the boycott of Fox News, he’s rallying his liberal troops to boycott everything Fox is associated with. And then he took his hatred for Fox News one step further on June 19th. Do you think it’s dangerous that celebrities are perpetuating this sort of hyperbole?